Supply chain processes happen around you all the time. If your company makes a product, procures a product, or does both, and wants to sell it to a customer, you will need to end-to-end supply chain optimization. But how do you know if your supply chain needs optimizing? The method is simple. Are you are getting your customers what they want when they want it, and spending as little money as possible accomplishing that goal? If so, you are on the right track. Unfortunately, this is not the case for many businesses. If you cannot clearly answer that question with an affirmative response, you have some work to do. In most cases, you could be spending less and making better use of your resources. But where do you begin? Keep reading to find out the importance of supply chain optimization and how you can improve your process. Inventory management is one of the most important parts of the supply chain. It informs other parts of your processes, including order fulfillment and production planning. This applies to all the items that you have in your warehouse, from raw materials, to finished goods, to extra parts. With a solid supply chain optimization process, you will be able to maintain control of your inventory management. It will also help you fulfill orders for your customers, as you will know at all times if you have enough goods to fill each order on time. The delivery of your orders on time and accurately is just as important as producing the goods for them. Supply chain optimization makes order delivery more efficient. This includes finding ways to load your trucks or transportation vehicles faster and choosing the best delivery routes to save on costs and present orders to customers on time. These items also fall under the category of logistics planning. In addition to inventory control and order fulfillment, accurate demand planning is also an important part of supply chain optimization. By improving demand planning, you can achieve more accurate results, which increases the chances that you’ll have enough goods to meet demand. Additionally, you can avoid producing too many goods that would take up warehouse space. Accurate demand planning also helps you reduce costs. If you have an idea of how much demand you expect to see, you can create a plan based on that demand. If your demand planning is off, you may need to make sacrifices, including extra costs, to reduce lead times to fulfill that extra demand. It may not be obvious, but customer service is a worthwhile area to improve. Orders that arrive on time make your customers happy, and this is a form of customer service because you’re providing something that they requested and paid for. If you are constantly delivering orders late, optimization can help improve your customer service. A good optimization plan will send you alerts for times when an order may arrive late. This system can also highlight when a customer receives their orders late. With real-time visibility of your delivery processes, you can prepare to offer apologies and discounts to keep your customers happy and loyal. One of the most overlooked areas that can be improved by supply chain optimization is the ability to make better decisions. The more your processes are optimized, the more well-informed you will be. As a result, you will be able to make decisions that have a more positive impact on your supply chain. Real-time data is one of the many features supply chain optimization can offer you. It allows you to make decisions on the go, especially in cases of emergencies that need your attention. It also ensures that your data is always current and up-to-date, so you are never making decisions based on outdated information. It has the benefit of informing other of any changes you make to your tactical planning, so everyone involved is in the loop. Of the most important components of any business is supply chain management. It involves almost the entire company; deals with suppliers and customers; and creates the product and services that make up the core of the business. This is why supply chain optimization is vital to ensuring you get the most out of your supply chain. Here are some methods of how you can optimize your supply chain process. The guiding precept for supply chain management is brand strategy. Supply chains are designed to align assets to meet objectives that support the brand strategy. About 80% of transportation costs are predetermined by network design, which is why optimization solutions provide value. There are many types of solutions available including distribution center (DC) network design, and strategic sourcing. These solutions answer important questions for decision-makers such as what suppliers to source from, what their capacity is, and where to make capital investments. Once you’ve established strategic optimization, it’s time to put it into action. This step involved improving annual sourcing decisions and product flows, which allows buyers to meet constraints while using the lowest total landed cost. Tactical optimization allows buyers to make informed choices that make the best use of resources, costs, and time. Since supply chains are dynamic, demand will change over time. New items will be introduced to the system, and geographic locations may expand or evolve. It’s important to continue evaluating optimization techniques to be ready for improvement at any time. By adding this discipline to your strategy, you will experience better product flow through the supply chain, and develop a business mentality that makes evidence-based informed decisions. Being agile and flexible are huge assets as an organization. Optimization techniques allow companies to use analytical optimization models to replicate current product movements and cost structures. You can test scenarios in this step such as, “What if demand grows by 20% in a specific market?” and analyze responses. Now that you know the importance of supply chain optimization, you may be wondering how exactly you can achieve it. 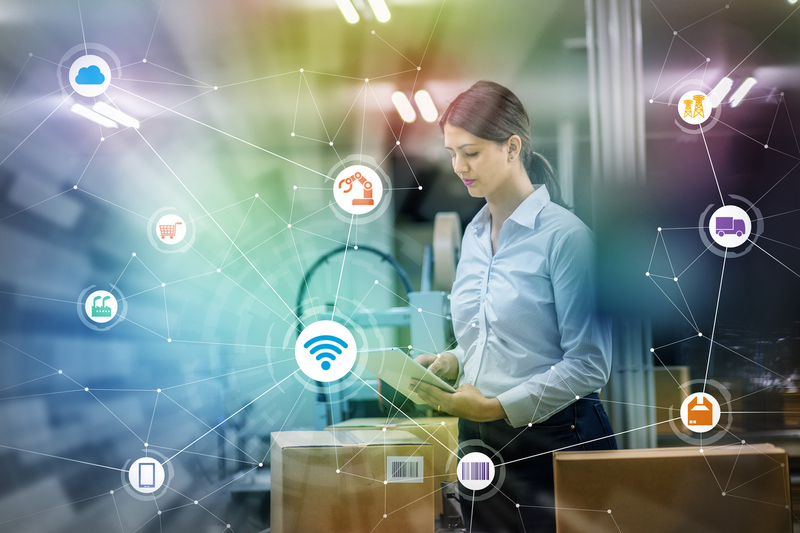 A fool-proof plan of action is to begin with a robust supply chain management software, which is one of the many advantages of working with a third-party logistics provider. The 3PL provider can help you manage every step of your operations so you can focus on improving other important areas of your business such as sales and marketing. They can help you respond to unexpected challenges so you can save time and money without slowing down your speed and success rate. If you’re looking for the right company to partner with, Lean Supply Solutions is the answer. We arise to the challenge of meeting our clients’ needs through our services which include product fulfillment, warehousing and distribution, e-commerce fulfillment, warehouse pick and pack, order fulfillment, and more. To learn more about outsourcing to our 3PL distribution team, or to ask any questions, contact us today.